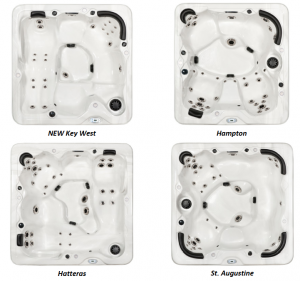 Spa Crest Europe, manufacturers of the world’s only carbon-fibre reinforced hot tubs, have released a number of new and face-lifted models in their highly popular Coastal mid-range hot tubs. The upgrades include a more ergonomic re-sculpting of shell contours and more hydrotherapy-focussed jet-arrays; as well as new optional LED scatter lighting and drink holders. These new designs are then handed to the craftsmen in Spa Crest’s mould shop, where the new tech meets old school artisan skills. Spa Crest still make all their own moulds in house and the team in their mould shop, some of whom have been with the company since they started over twenty five years ago, hand-finish the moulds to the new designs to produce beautiful ergonomic, supremely comfortable new shell designs. Jet types and positions are also devised to maximise the therapeutic benefit by targeting different trigger points on the body using differing jet arrays in each seat. 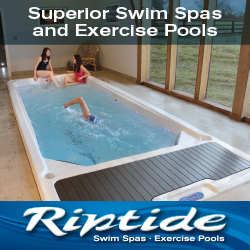 The comfort built in to a Spa Crest carbon-fibre reinforced spa shell cannot be overstated and is an integral part of the whole experience. If you’re not comfortable in the hot tub, it’s not going to be relaxing. So much so, that in one visit to a Spa Crest dealer in Staffordshire, a lady who had already put a deposit down on another brand’s (more expensive) spa called them back to cancel her order and ask for her deposit to be refunded after sitting in a Hampton model. She said it was just so much more comfortable! Models which have undergone the recent upgrades include the Hampton, the Hatteras and the St. Augustine. The new model is a five seater with lounger called the Key West, measuring 1.94m x 1.94m. Brand2Go models utilising the same moulds have also undergone the same upgrades. Spa Crest and Brand2Go dealerships are still available in selected areas of the UK. If you’d like to find out which opportunities may still be open in your locale, Tony Welsby says to give him a call on 0844 871 8730 or email him at tony@spacrest-europe.com for details.